Åland Sottunga. File Photo Lehtikuva. 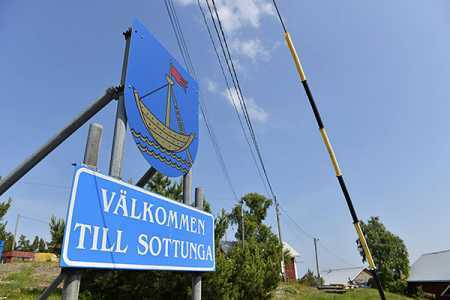 The smallest municipality in the country, Åland Sottunga, will disappear from the map. According to the provincial government, Sottunga will be connected to one of the larger municipalities in the Åland Islands. The deadline is the 2019 parliamentary elections. The reason for the re-zoning is Sottunga’s economic difficulties, which the provincial government has determined are not temporary. Sottunga has only 98 inhabitants. The main occupations are agriculture and fishing, which provide livelihoods for more than a quarter of Sottunga people. The main reason for the financial difficulties is the aging population. This year, the municipality of Åland provided more than 200,000 euros to Sottunga for elderly care. “The objective of the aid is not to save the municipality of Sottunga. The aim is to ensure that the elderly people receive the services and care to which they are entitled,” said Åland Economic Affairs Minister Mats Perämaa.